Just this week Hannah's new website launched and she had her first look at Illuminate: Contemporary Craft Lighting, her book that will be out this fall. So that's two thrilling things that have aligned in Hannah's world.... and I bet you've heard that good things happen in threes? Perhaps it's a bit premature to announce this, but she's currently hard at work illustrating a line of wildflower wallpaper that looks just as appealing as her lights! You might enjoy this Behind the Scenes post on Hannah's blog. She had large sample sheets printed to use as backdrops during the website photoshoot. Simply brilliant, as the Brits would say! I love Hannah's lamps. The wallpaper looks gorgeous and such a clever way to do the shoot. Thanks for sharing! Enjoyed viewing all her beautiful lamps on here website and her wall paper so gorgeous and adds to the beauty of the pictures. 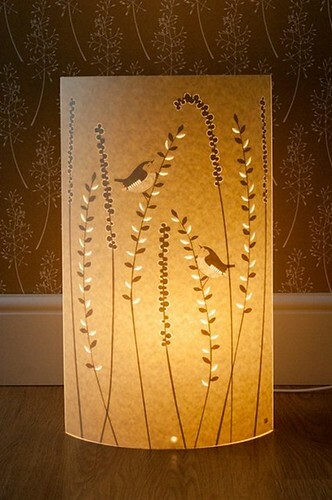 Hannah's lamps are unique and beautiful :) thanks for sharing!! 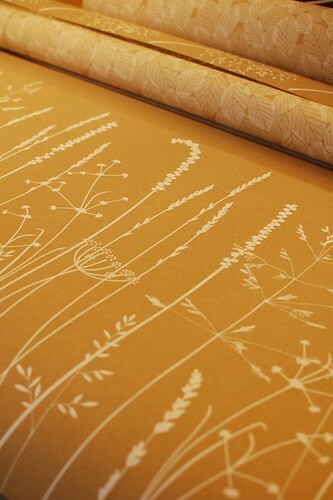 I have been a Hannah Nunn fan for a long time- her work is so delicate. And I'm a fan of yours, too... I just pre-ordered your new book, congrats! Thank you, Amy! I hope you'll enjoy it.